Mrs. Brown has escaped into the garden again! Mrs Brown. 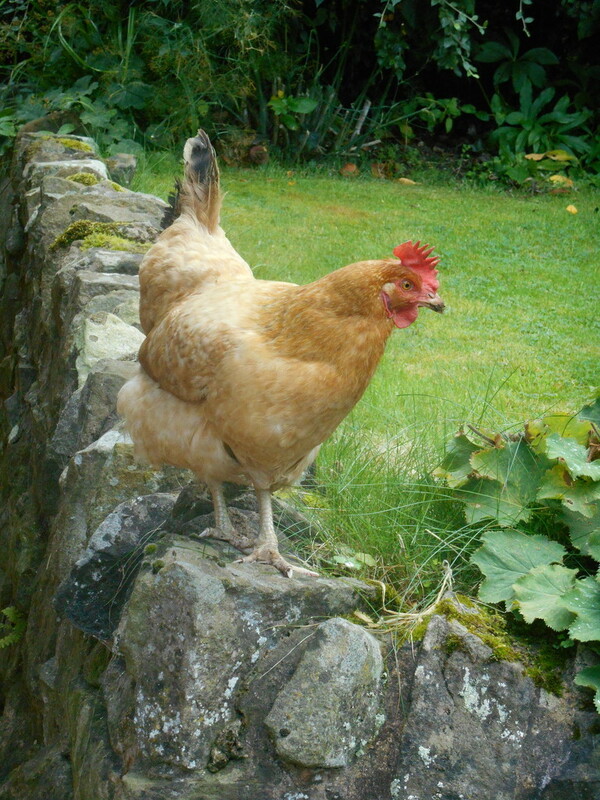 is looking out for a tasty moral -- grass is always greener on the other side !! A lovely shot Diana !! What a beautiful bird! Fav. A beautifully composed shot. Mrs Brown is very beautiful. Mrs Brown needs her wings clipped! great capture, my granddaughter loves it she only 6 and adores chickens bless.